One driver for all your RTS needs ! Somfy Generic RTS and DCT Driver Set: one driver for ALL your RTS needs ! 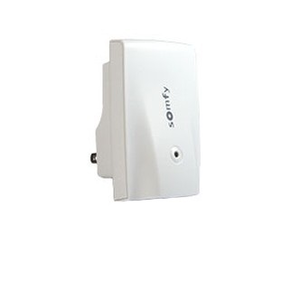 This driver set enables you to control Somfy RTS blinds connected to one or more Somfy URTSI II (16 channels each), and/or one or more Somfy RS485 RTS Transmitters (16 channels each) and/or one or more Somfy myLink (16 channels each). Older RTS transmitters are also supported, such as the Somfy URTSI (5 channels), the Somfy RS232 to RTS with X-10 (16 channels) and the Somfy RTS-Dry Contact Interfaces (1 channel each). In addition, Somfy DCT (Dry Contact) blinds may be controlled using a set of relays (2 or 3 relays) for each blind. 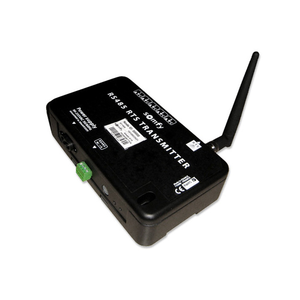 The driver is capable of SIMULTANEOUSLY connecting to a cluster of myLinks, a cluster of URTSI II (up to 16 in an RS-485 network) and a cluster of RS485 RTS Transmitters (up to 16). IMPORTANT: in order for this driver to properly communicate with a myLink device, your myLink firmware must be at level 4.0 or above, as older versions of the firmware do not have the required API. Firmware level 4.0 or above is typically available with Somfy iOS app version 5.0 or above. We have found that in some countries, the available Somfy myLink apps are older and the included firmware will unfortunately not work with this driver. Supports a large number of Somfy RTS blinds or blind groups connected to one of the Somfy RTS interfaces. The driver’s IP connection may be connected to a cluster of myLinks, with one of the myLinks automatically acting as the “master”. 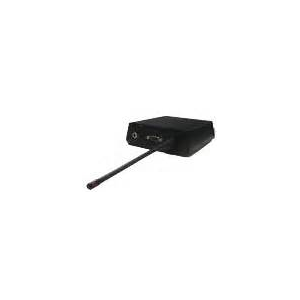 The driver’s main RS232 serial port may be connected to either a Somfy Universal RTS Interface II (URTSI II -16 channels) or to the older Somfy Universal RTS Interface (URTSI - 5 channels) or Somfy RS232 to RTS Interface (with X10 Compatibility – 16 channels). With this V10 driver, up to sixteen URSTI II may be connected in an RS485 configuration using an RS232 to RS485 Converter. This V10 driver also supports a second serial connection (using the add-on RS485 driver) to connect to one or more Somfy RS485 RTS Transmitters (16 channels each) using an RS232 to RS485 Converter. In testing, the B&B 4WSD9TB Converter was used, but many others will work as well. Somfy RTS blinds or blind groups connected to Somfy RTS-Dry Contact Interfaces (one blind or blind group each) are also supported. In addition Somfy DCT (Dry Contact) blinds can be controlled using relay sets (2 or 3 relays per blind). Up to sixteen relay sets are available to support DCT blinds and Somfy RTS-Dry Contact Interfaces. The driver has also been tested with several models of Global Caché units (IP and WiFi to Serial and to Dry Contacts), giving added flexibility in controlling to the Somfy blinds. 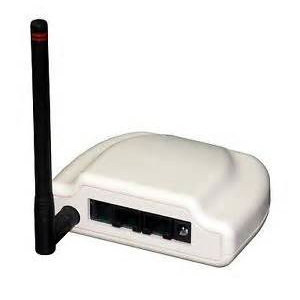 A completely wireless path from the Control4 director is therefore possible, if desired. Somfy RTS blinds can be programmed as a single blind per RTS channel or can be grouped as several blinds per RTS channel. In this case, an UP, DOWN or STOP command would be executed by all the blinds programmed on the same RTS channel. If you have programmed individual blinds on RTS channels as well as grouped blinds on a separate RTS channel, the driver is able to send feedback to the individual blinds when the group channel is operated. 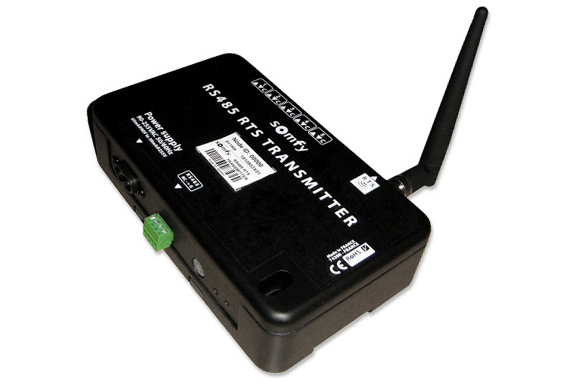 The driver package includes three drivers: one main Interface driver (protocol) which controls the RTS interfaces and the relays, one optional add-on RS485 driver if you are using the RS485 RTS Transmitter(s) and one Blind driver (proxy) which can be replicated in rooms where blinds or blind groups need to be controlled and connected to the Interface driver. Only one copy of the main Interface driver should be installed in a project, but since it supports many simultaneous interfaces (myLink, URTSI II and RS485 RTS Transmitters), there is effectively no limit on the total number of blinds supported. Although these Somfy RTS and DCT communications are one-way only, this driver set uses an elaborate timing model to maintain at all times an estimated view of the status and position of each blind. This allows relatively accurate feedback to the navigator interfaces as well as programming functions such as ‘Set Blind to x% Closed’. 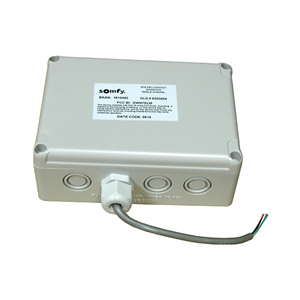 The timing mechanism also allows the Interface driver to meet the Somfy requirements in terms of delay between commands as well as avoiding overlapping pulses of the control relays. An elaborate timing and programming model estimates the current position and status of each blind at all times based on timing values provided by the installer. New blind features in OS 2.9 are supported, including setting the blind to a % open or closed. Only one driver set is needed for most RTS applications and DCT operations. Blinds may be positioned in the appropriate rooms for easier Navigator access. URTSI II device addresses are supported if connected in an RS485 network. Somfy myLink transmitters are supported using a Wi-Fi connection. 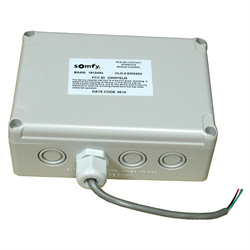 Somfy RS485 RTS Transmitters (5061182) are supported, including setting IP and programming the channel. Property to allow multiple sends when using URTSI II. Property to allow feedback to individual blinds when grouped RTS channels are used. Support for up to 30 driver scenes. RTS485 Action to set blind in PROG mode. RTS485 Action and programming command to send TILT (+ or –) with optional amplitude. Dry contact operation (2 relays per blind with an optional 3rd STOP relay) is supported with the same interface. The driver has been tested with Global Caché devices to allow for more connection possibilities. The Interface driver is able to stack consecutive commands so that the delays between commands are observed, as per Somfy requirements. The driver responds to Somfy commands received from the interface (they could have been issued by other drivers or sources via an RS232 combiner, for example). Programming control is available to set blinds to specific positions. Programming feedback is provided on current blind position and status. Action ("Print Blind Report") to print a summary of all blinds configured in the project. Action ("Print Status Report") to simplify reporting of issues.